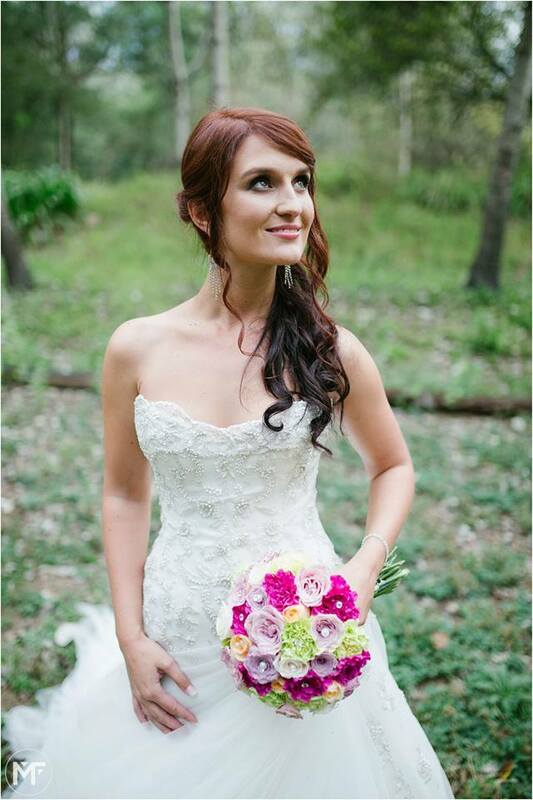 Are you in Cape Town and wanting bridal hair? We will give you a personal consultation and trial ensures all details and requirements are met to make your special day perfect. Schedule your trial 2 to 3 weeks prior to your wedding day. No matter the length of your hair, whether it’s short or long; whether you are looking for a stylish and sleek up-do, or a romantic, wavy down-style (or any combination thereof!) we will help you to find your dream style and replicate it for you on your special day!. Do you have any accessories you would like to incorporate into your style? No problem! We will find the perfect style to suit them. A stylish, sleek up-do bun. An intricate low-bun with accessory pins and flowers.